Comprising 109 acres, the Fort Worth Botanic Garden is actually several gardens. Among them are a rain forest conservancy and a Japanese garden, which offers a traditional Japanese tea ceremony on select dates. Summer is an excellent time to visit, of course, but the gardens are worth a visit at other times of the year as well, particularly with special events scheduled throughout the year. 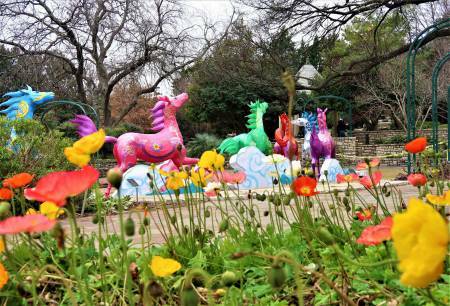 Of special interest is the Lanterns In The Garden festival, held every spring, and honoring Chinese tradition with a display of hundreds of lanterns, in many shapes including life-size animals.